The DEVA018 single axis sine-wave interpolator can accept 11µA or 1vpp differential sine / cosine signals and produce RS422 differential square wave quadrature signals. The interpolation factor may be set to 10, 25, 50 or 100 times. For 1 Vpp the inputs may be terminated with on-board 120 ohm resistors. The maximum input rate is 125 kHz. The maximum output count rate is 5Mhz using x10 interpolation. 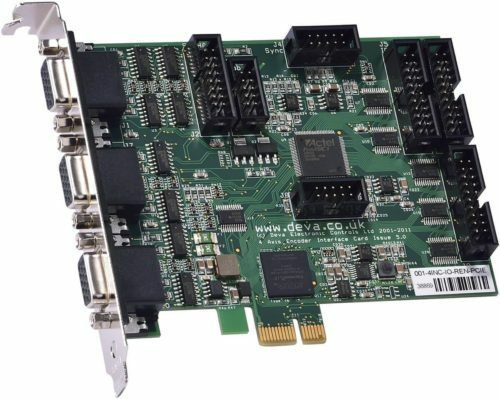 The DEVA018 operates from +5v which may be supplied either from the input or output connector. 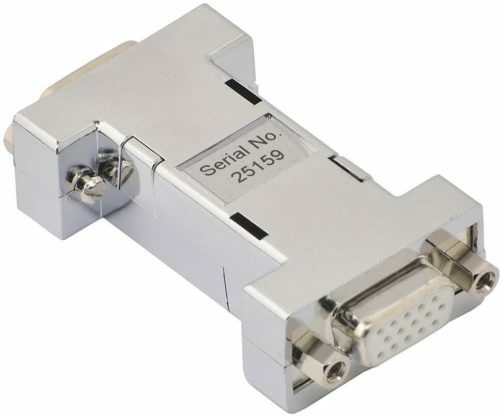 The output connector is pin to pin compatible with all Deva's encoder interface and motion control products. All unused pins are passed through from input to output. The Deva 018-1SIN can be set to accept 11uA or 1Vpp and is compatible with a wide range of industry standard scales and encoders. To support Mitutoyo scales the Deva 018-1SIN may be set to accept 2vpp single ended signals biased on 2.5v. 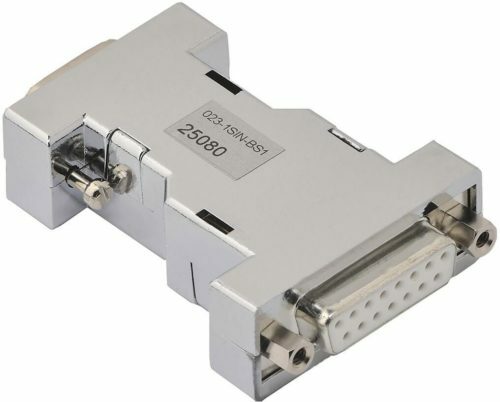 The 2.5v bias must be available from the encoder to connect to the inverting input. It is known to be compatible with the Mitutoyo AT102, AT111, AT112, AT115,AT116 and AT181 scales, along with others of the same output format. It is also designed for 20vpp single ended or 10vpp differential signals.